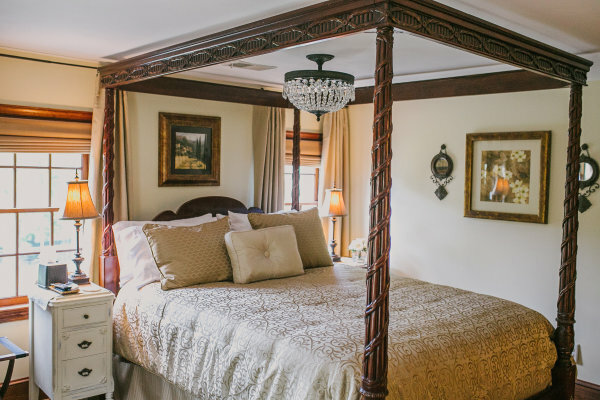 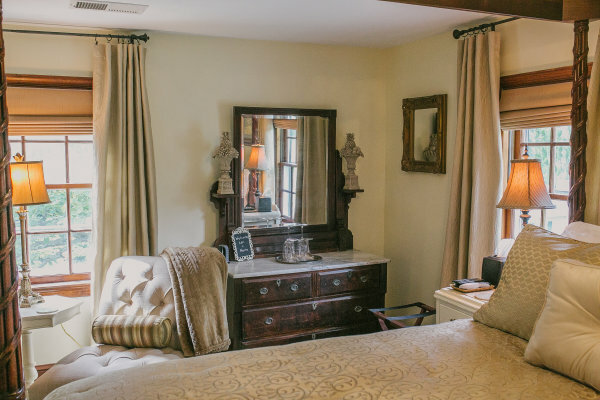 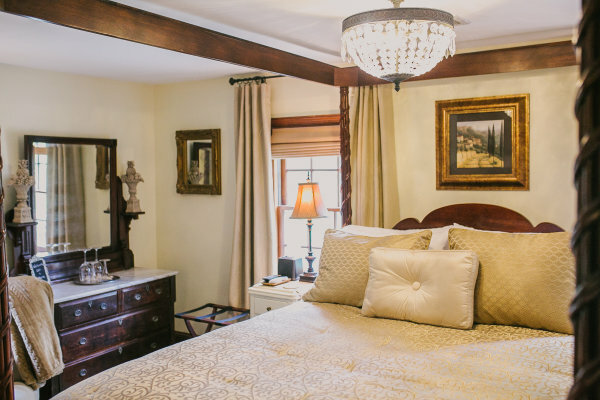 A uniquely carved, four poster bed invites you into the Dogwood Room on the second floor of the historic Airwell B&B. 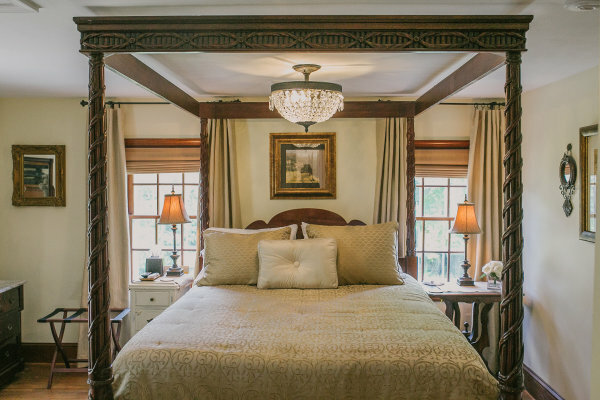 This dramatic focal point, coupled with many other elegant appointments, provide a regal night’s sleep and comfortable spot for watching television. 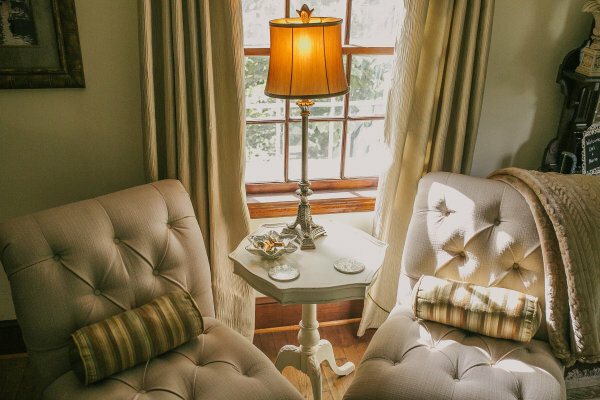 The many windows allow for beautiful vistas of the Airwell country estate, including perhaps the oldest pink dogwood in Virginia. 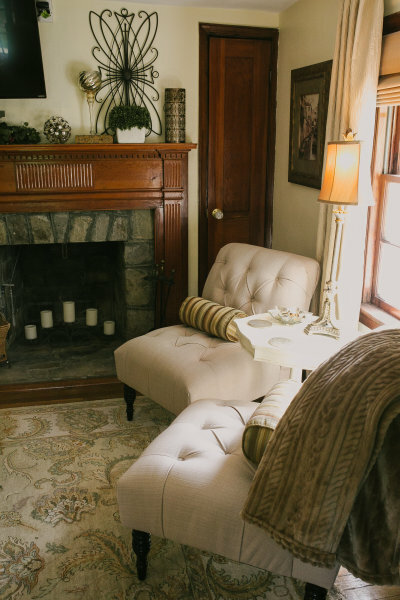 Enjoy a good book while lounging in one of the tufted chairs next to the stone hearth. 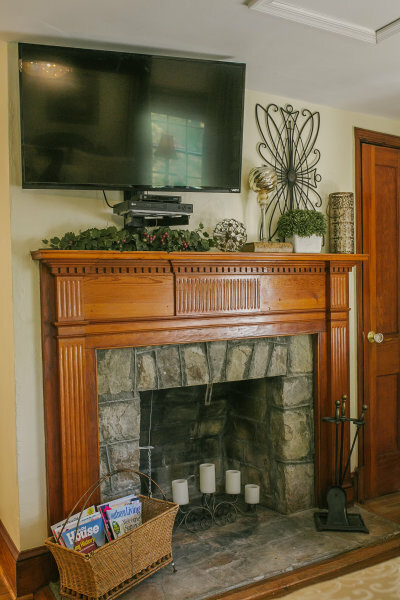 This wood burning fireplace, with the original hand-carved mantel, completes the cozy feel. 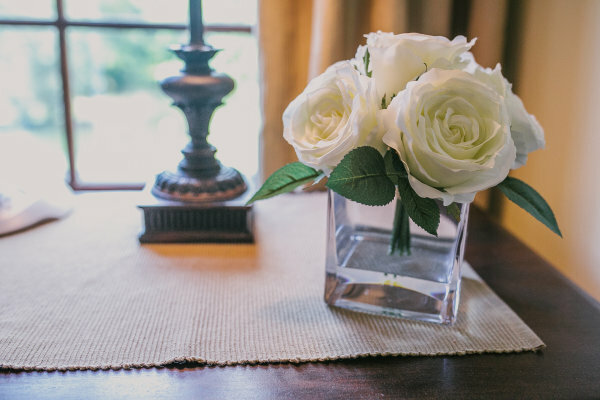 In the warmer months, flickering candles replace the logs to add ambiance to your special night. 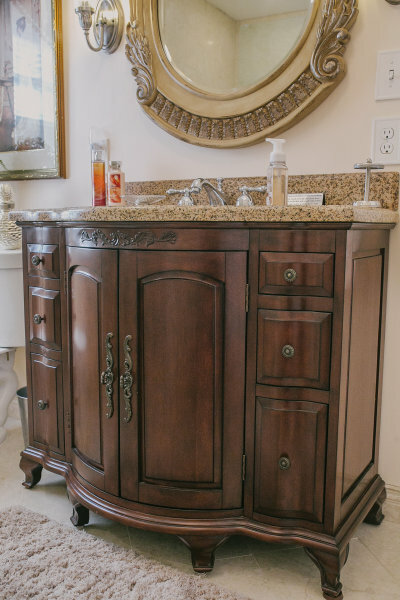 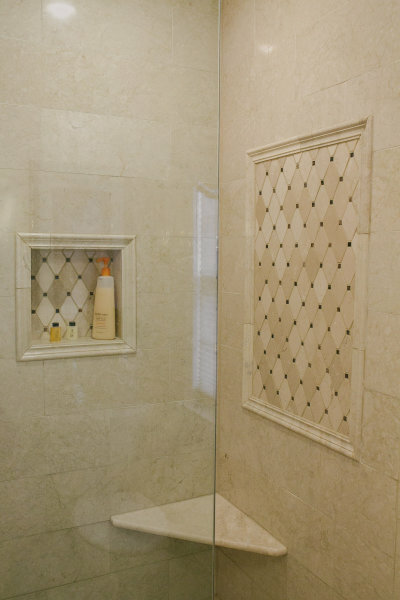 The stone fireplace leads to the stunning ensuite marble bath. 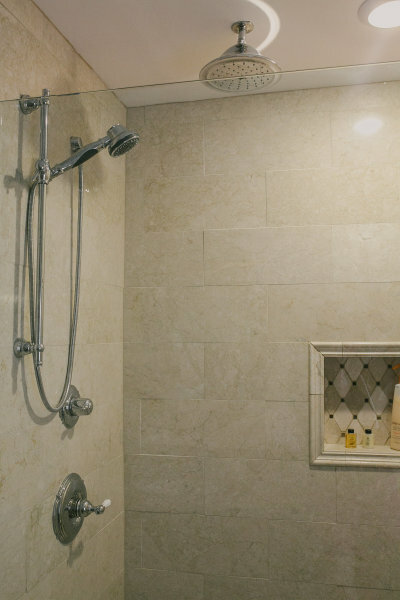 Newly renovated, this spacious bath, featuring a two person, glass front shower, pairs modern convenience with Old World charm and detail. 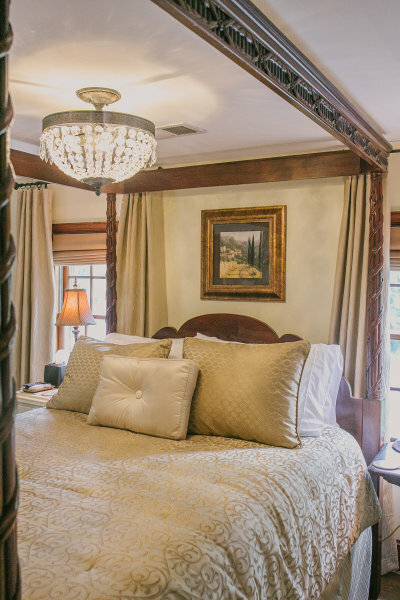 The warm color soothes the soul, and allows one to cleanse in comfort. 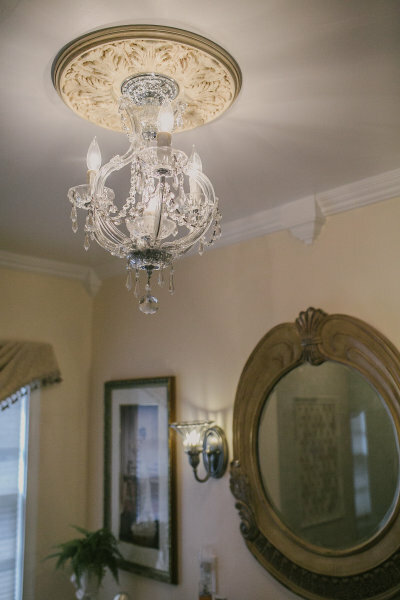 Crystal chandeliers in both rooms light the way to a romantic stay! 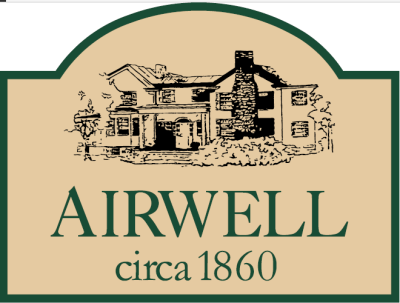 Enjoy a delicious gourmet breakfast served to you in the elegant dining room of Airwell. 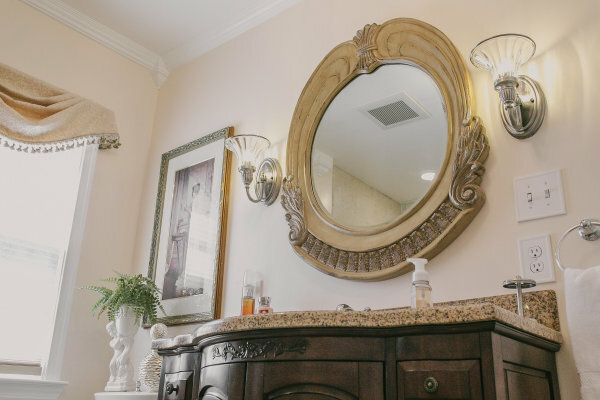 On a nice morning, perhaps you will choose to have your breakfast on the covered front porch with a perfect view of our fountain and pretty rose garden. 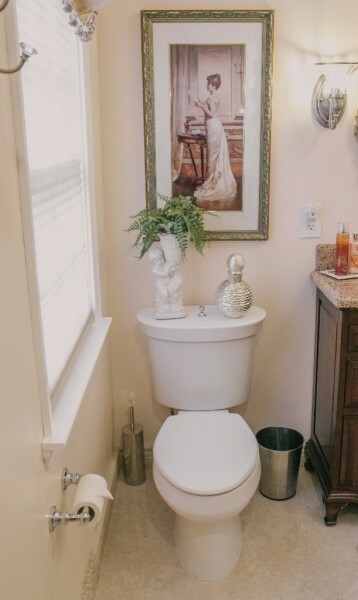 What a peaceful way to start your day!